On December 3rd, the world was surprised to hear that there were not 1 but 2 colors announced. For the first time ever the blending of 2 colors had been announced as the symbolic color, Rose Quartz and Serenity. Shades that represent pale pink and soft blue!! At HarMan, we are super excited with the color selections as we have a plethora of Swarovski crystal products in our inventory in the hottest hues of 2016!! For your convenience, we matched up the Rose Quartz and the Serenity with the Swarovski color that we feel matches best: Powder Rose and Light Sapphire (respectively). Click on the below color to shop all of our sparkling crystals available!!! 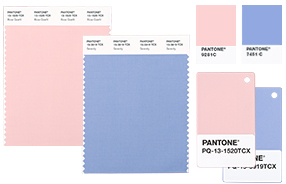 Leatrice Eiseman, the executive director of the Pantone Color Institute has put our her statement regarding the color choices “With the whole greater than its individual parts, joined together Serenity and Rose Quartz demonstrate an inherent balance between a warmer embracing rose tone and the cooler tranquil blue, reflecting connection and wellness as well as a soothing sense of order and peace". Some may ask, “Why is this proclaimed color of the year important?” The answer is simple, this color (or in this case – colors) will pioneer what we see taking place in our culture in the upcoming year and will tipoff the color trend that will spread through countless industries, from home décor, fashion, advertising, to beauty! So as we dive into 2016, we want to wish you a Happy New Year and Happy Designing!!! 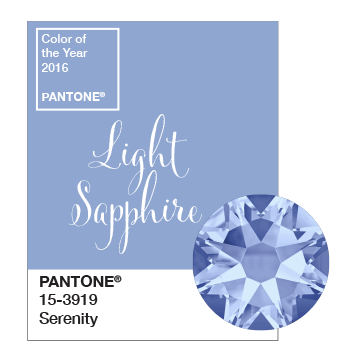 We can’t wait to see what jewelry and fashion designs are created featuring the Pantone Colors of the Year. 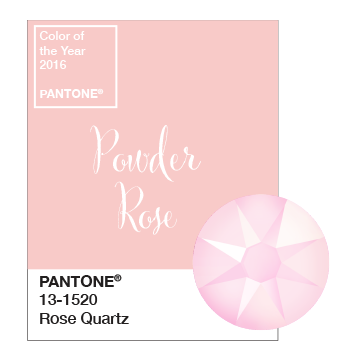 Colors that are sure to complement Rose Quartz and Serenity include purples and browns as well as metallics gold and silver. To play around with your favorite color combination, check out our Shop By Color experience at http://www.harmanbeads.com/swarovski-shop-by-color.